← MAROC : Arrestation d’un militant amazigh ! We had already mentioned here the number of children who die of cold in many remote villages of the Atlas mountains, including Anefgou and Imilchil. 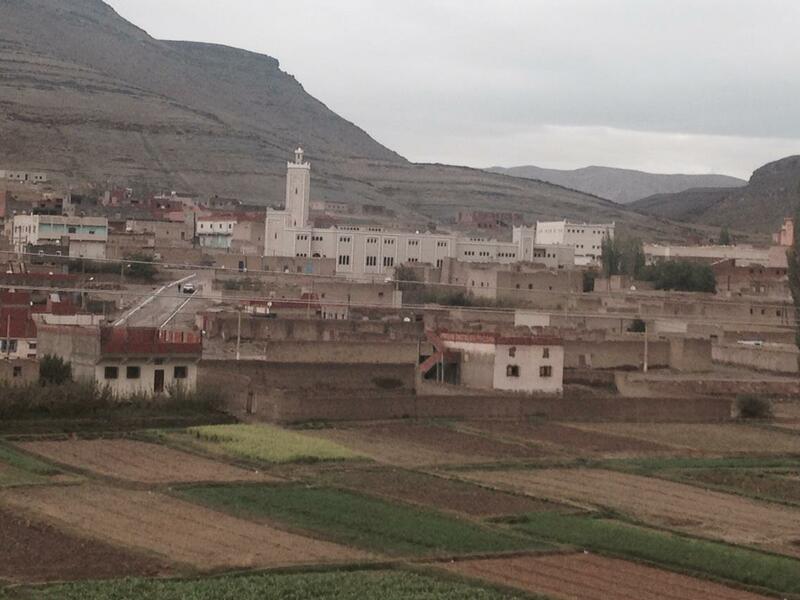 The Moroccan authorities have responded to these tragedies taking action in these areas, but not taking care to provide them with roads and sanitation services or other infrastructure useful to allow people to live in dignity, but… building mosques for them. Yes! Mosques! Whenever children die of cold and hunger in Atlas villages, whenever people manifest to demand rights, roads and basic infrastructure, the authorities respond to them by building mosques. « Beautiful » and great mosques for the souls wounded by the dictatorship and the need, to allow them to escape the poverty caused by decades of plundering the country’s wealth by the monarchy. The contrast is striking between the »Anarchitecture » of these mosques with their minarets, modern and huge, almost intimidating compared to the modest houses of the villages which have no infrastructure worthy of this name.A mosque? What’s more effective to manipulate unemployed people and lead them to take refuge in Arabic opium? The mosque is not just a « religious » building but also an ideological tool, a very effective place to distill the poison of Islamism and arabization. A mosque is an outpost of religious fundamentalism, obscurantism and Arab-Islamic colonization. It’s a mortal danger to the AmazighIdentity. Building mosques seem to be a “natural » answer adopted by the authorities in front of all the problems that plague the population. Hassan II had shamefully taxed his « subjects » to offer a great mosque in Casablanca, while people were dying and suffering from the underdevelopment. He managed to numb his « loyal subjects », explaining that their misery is inevitable, a divine will (and by extension real-royal). 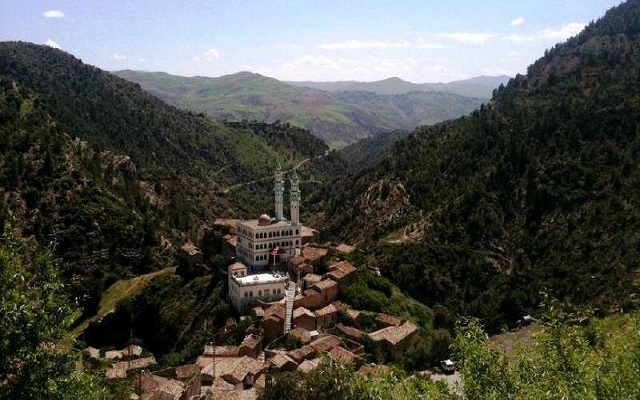 Thousands of mosques have been built in the past two decades in the Amazigh villages. The castaways of life have only two options: to leave the region and go to swell the shanty towns of the North, or take refuge in a mosque, « accepting their fate » and « giving thanks to God »: a comforting escape. People don’t need mosques. They need roads, schools, libraries, cinemas, universities, conservatories and businesses. It’s time to say no to the mosques. Cet article, publié dans Cause amazighe, Sud-Est, est tagué Anefgou, Errachidia, Imilchil, PJD, Tinejdad, Tinghir. Ajoutez ce permalien à vos favoris.